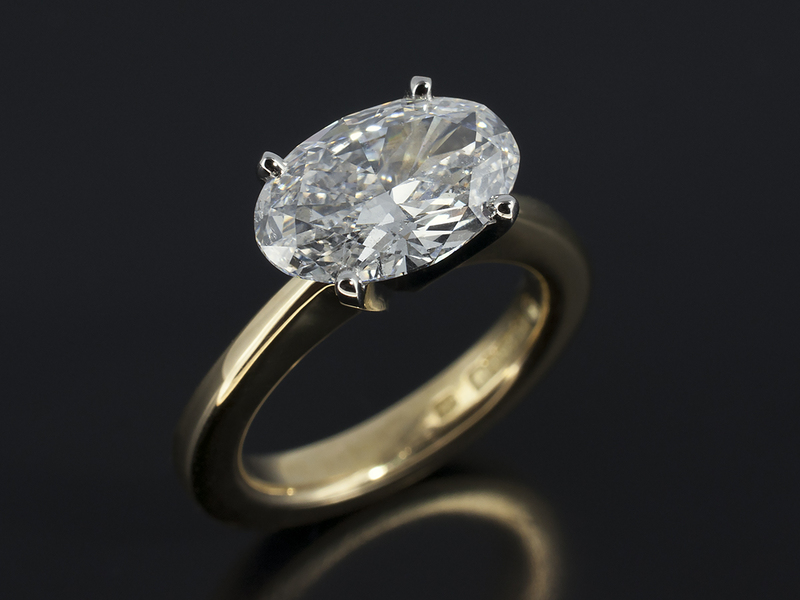 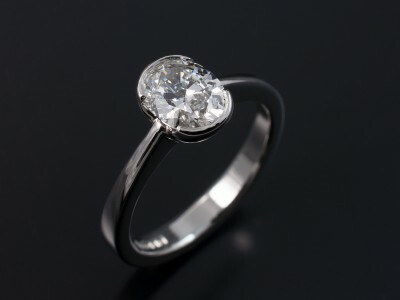 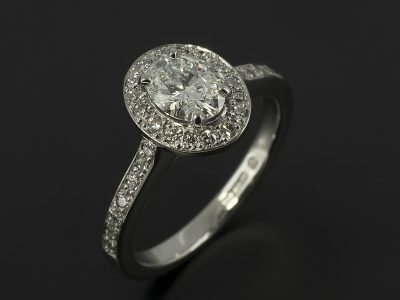 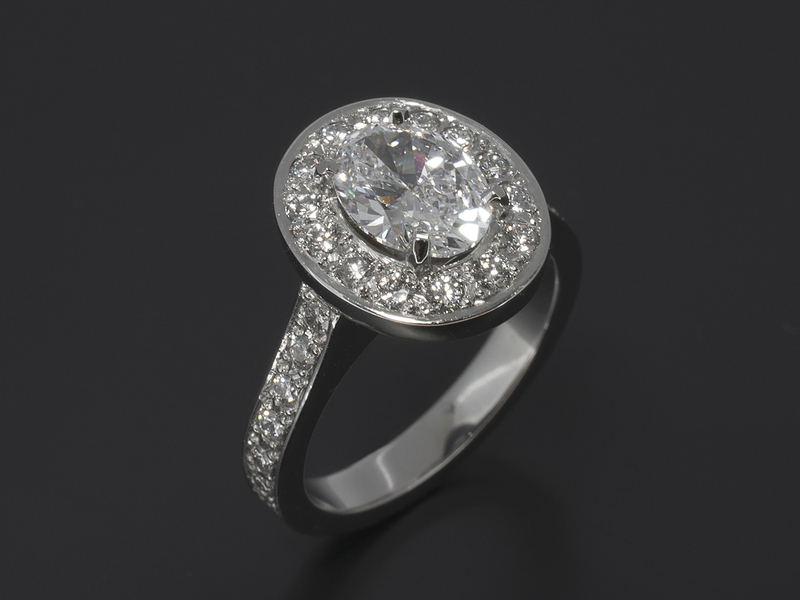 Oval Cut Diamonds often appeal to customers who like the brilliance and fire of a round brilliant cut diamond but are looking for more elongated shape. They work well in designs where a customer may have longer fingers. 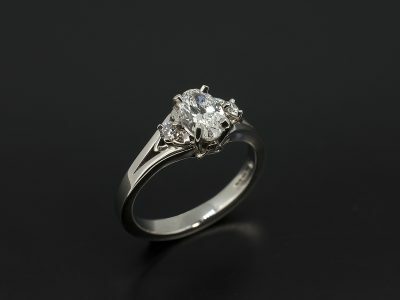 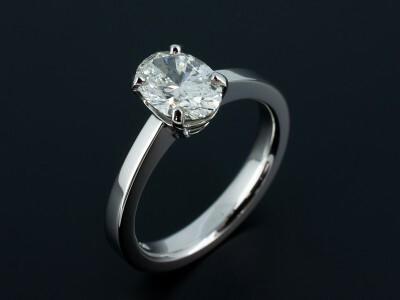 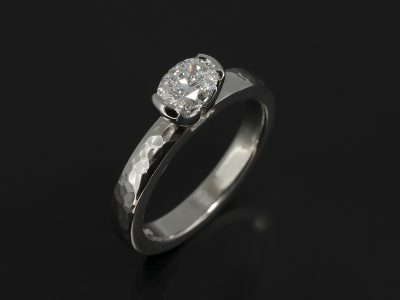 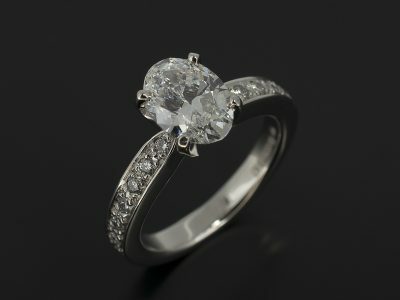 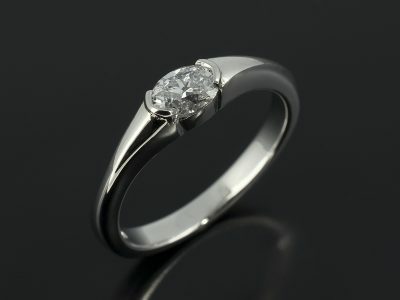 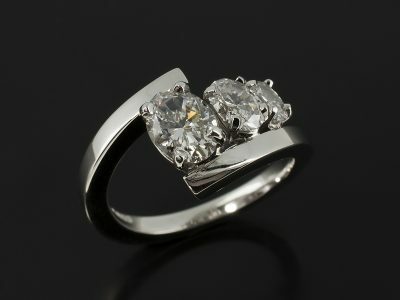 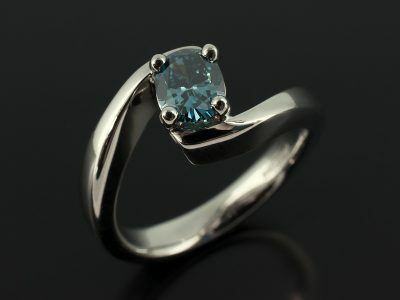 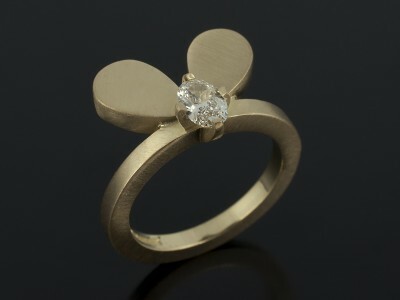 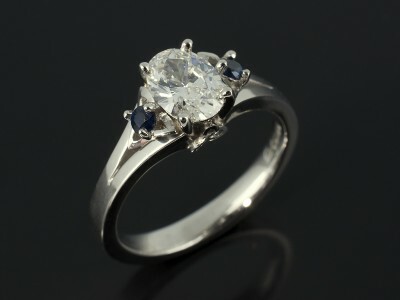 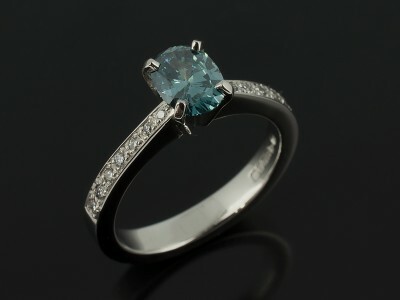 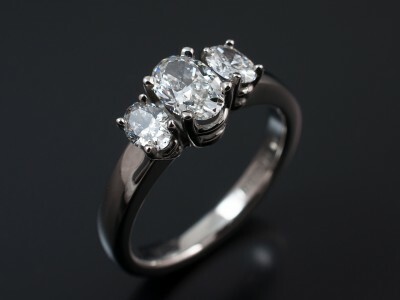 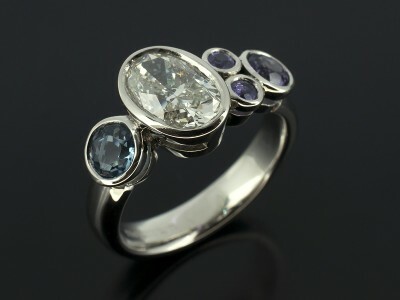 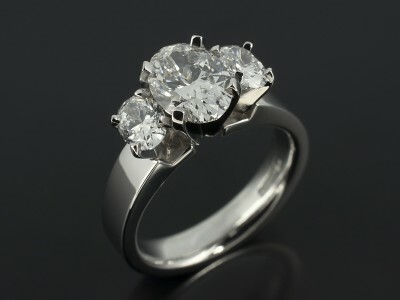 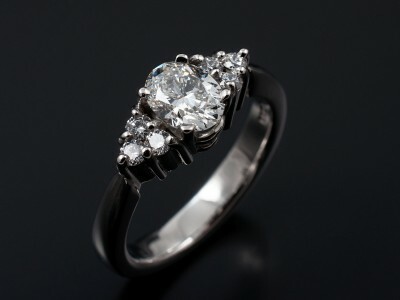 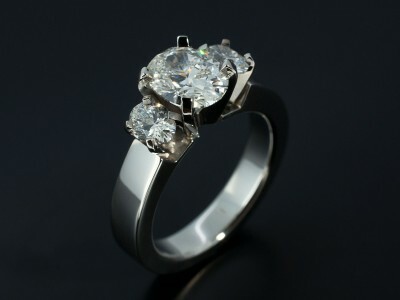 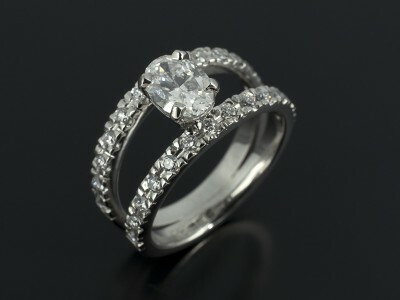 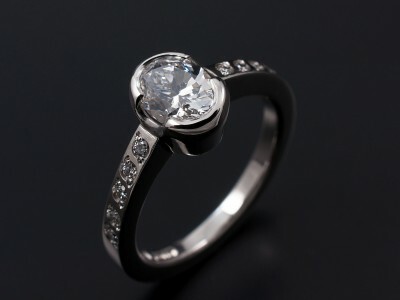 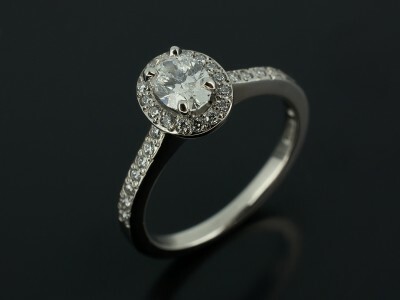 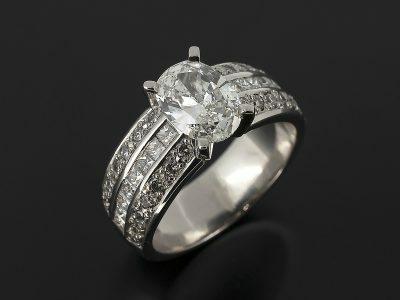 Furthermore they work fantastically well in halo, vintage and antique designs or as part of a trilogy. 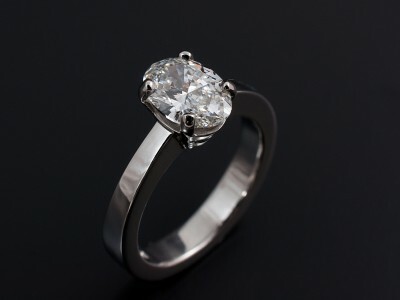 They have a large surface area for their carat weight and therefore look much bigger in comparison to a round brilliant or princess cut diamond of a similar carat weight. 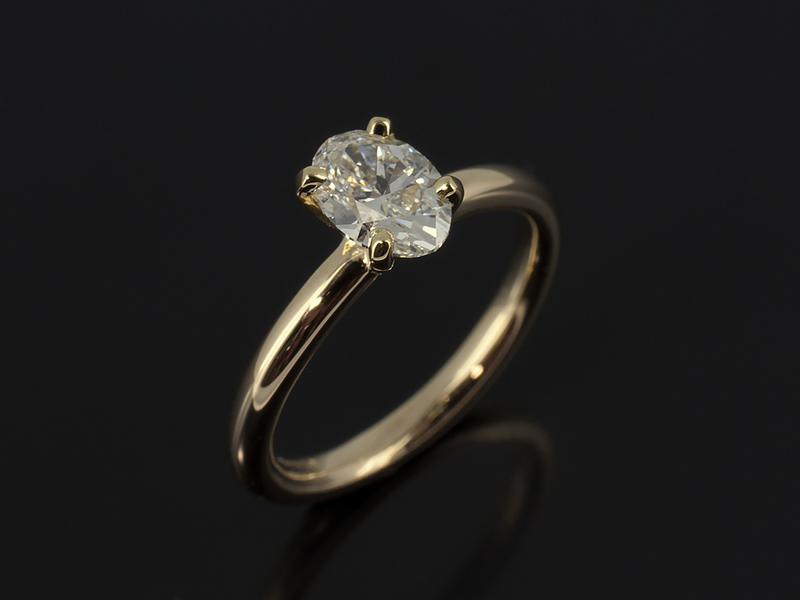 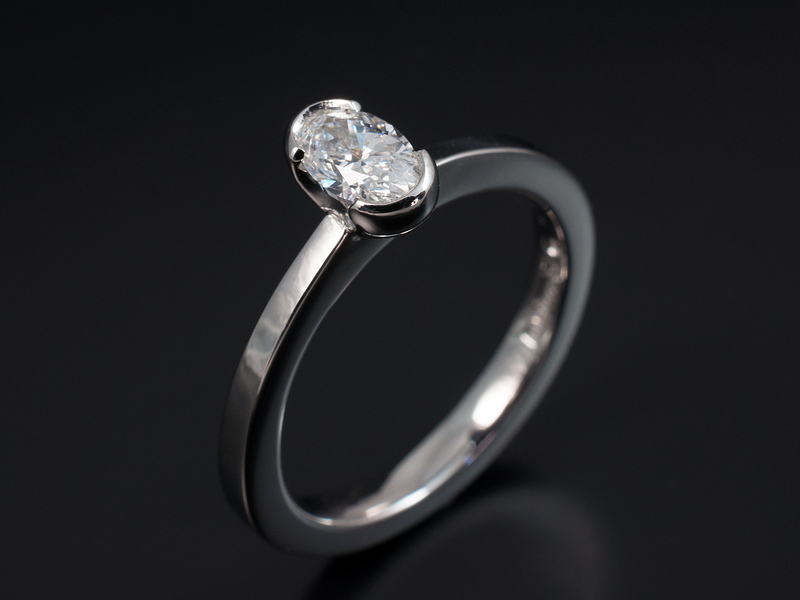 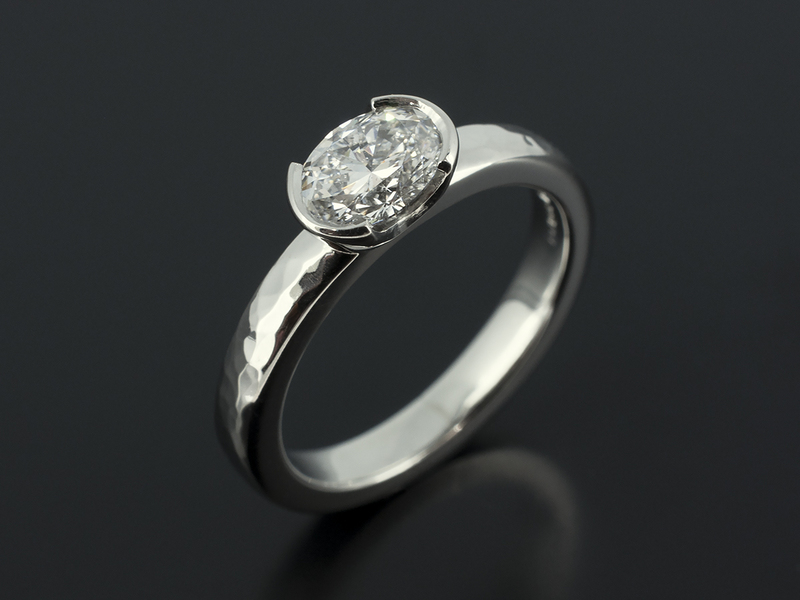 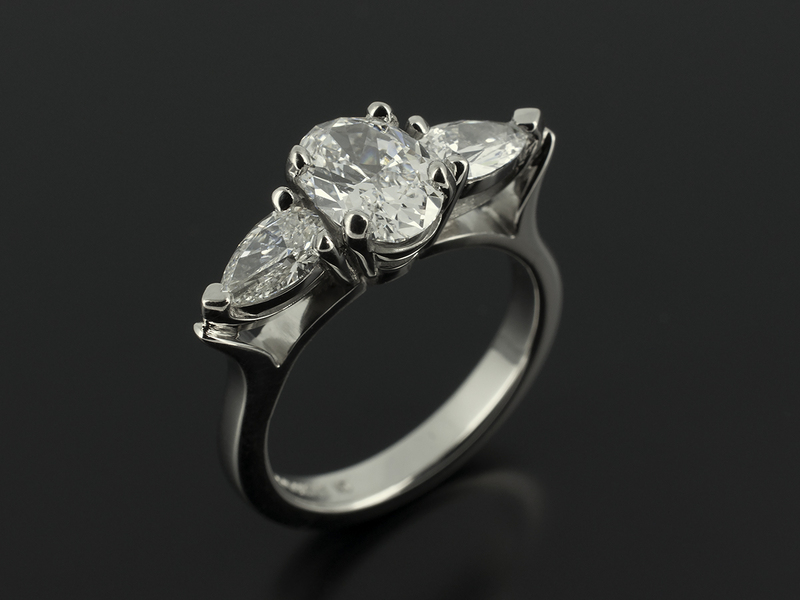 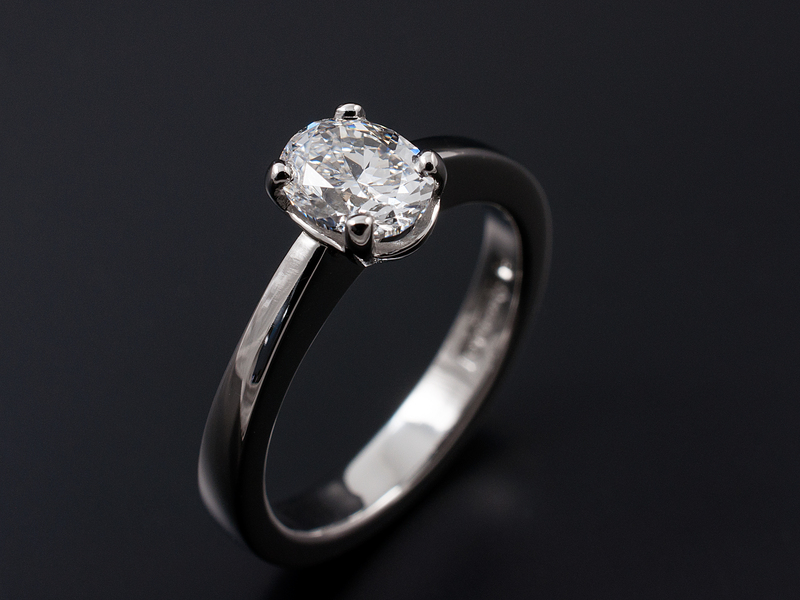 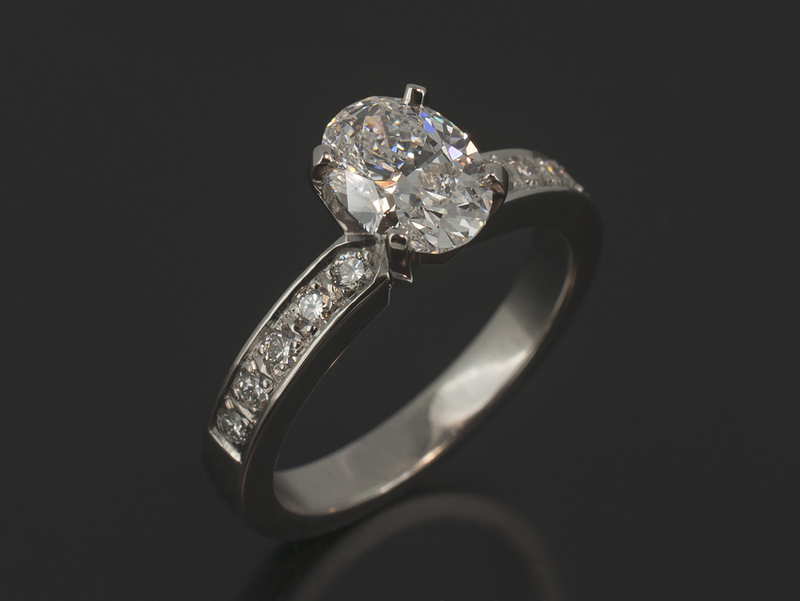 Any design you see in our images can be made in accordance with your engagement ring spending limit depending on the precious metals and precious stones that we use.